U.S. bookstore chain Barnes and Noble has introduced two new Android tablets today with aggressive pricing and a nice set of features. 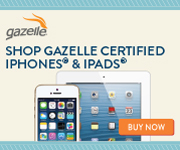 With price tags ranging from $199 for a 7-inch Nook HD tablet with 8 gigabytes of memory, to $299 for a 9-inch Nook HD+ tablet, Barnes and Noble has undercut Apple's iPad prices by roughly half while still featuring a slightly better set of specs and feature set over its top rival Amazon and their newly introduced Kindle Fire lineup. The new B&N Nook HD features a 7" screen with an impressive 243 pixels per inch and can handle 720p video, and the B&N Nook HD+ runs a 9" screen at 256ppi at a true 1920x1280 1080p resolution. In comparison the iPad 3 with its retina display features 264ppi, and the Kindle Fire HD comes in at 216ppi. Powering both of the tablets are current-gen Texas Instruments OMAP processors clocking in at 1.5GHz and 1.3GHz. Barnes & Noble's new devices, available for pre-order on Wednesday, will ship in October and be in U.S. stores in November. 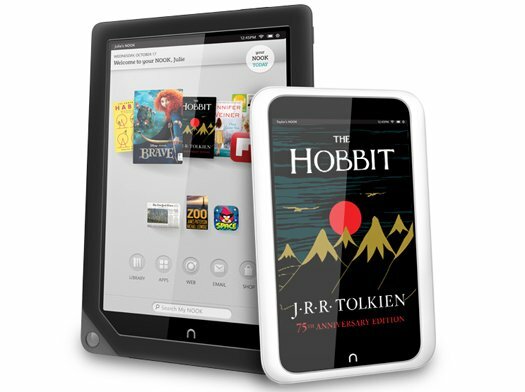 The Nook HD will run $199 for the 8GB version and $229 for the 16GB. The NookHD+ will cost $269 for 16GB and $299 for 32GB. All the devices are expandable up to 72GB via an microSD card slot. For more details read the full B&N Nook HD Press Release or visit the Barnes and Noble Nook page.